Enjoy the vibe. Meet your neighbors at the park, take a hike on the walking trails, meet friends for coffee or a movie, or shop til you drop! Onyx offers you so many choices, you can define your life anyway you want. 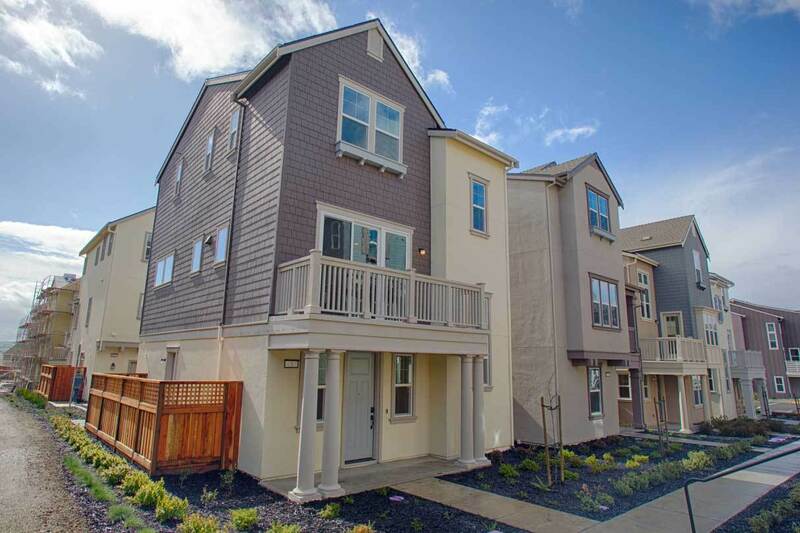 This neighborhood of 101 single-family detached homes offers an easy going lifestyle with cool three-story homes, tucked away at the back of this master planned community adjacent to mother nature. The charming streetscapes makes it easy for residents to get to know one another and plan outings together since Onyx is located in the heart of up and coming East Dublin with so many dining and entertainment opportunities – from causal to upscale and movies to art theaters. Shopping is a dream come true here with regional and outlet malls to the quaint boutiques found along Main Streets of each nearby city. And wine tasting is minutes away in the Livermore Valley. For those who need to commute, access to major employment centers is a breeze with BART, ACE and freeways only minutes away. Of course, unwinding is easy for active residents who can enjoy the peacefulness of the open space as they take a hike along the many nature trails. So come home and enjoy the vibe. Onyx at Jordan Ranch . . . Refine Your Life.